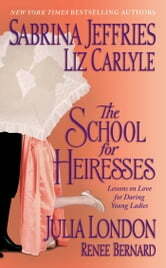 At the School for Heiresses, the lessons go far beyond etiquette and needlepoint. 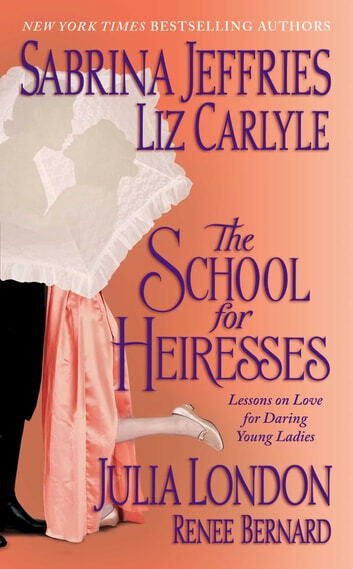 In addition to teaching her students how to avoid fortune hunters, headmistress and founder Charlotte Harris proposes the radical notion that women of all means need not shackle themselves to men at all—unless they find a suitable, desirable mate. So lessons in the fine art of acquiring a loving and passionate husband are part of the curriculum at this highly unusual school. And as the holidays approach, Mrs. Harris sends her young ladies home with personally tailored lessons to work on. Will they return any closer to finding the perfect husband?